It's that time of year when people everywhere are busy growing, waxing and trimming their facial hair in honor of men's health. You can visit Movember for the complete hair trimming details. Also give a shout out to our Frankie & Coco PDX friends! 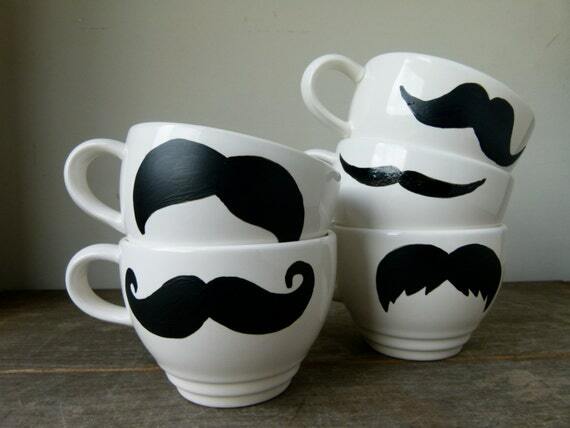 Movember is a busy time for Frankie & Coco mustache mugs. You can check out our recent feature and we are filling up the shop with new mugs every week. These two mustache mugs were smiling at me in the studio on this beautiful sunny day.